The Harold L. Gregory Memorial Post 626 received its first Legion charter on Nov. 18, 1973 as the Westside Post 626. The post’s first commander was Lee Sweeden. Post 626 was granted its second charter on Dec. 1, 1994 when it was renamed in honor of Harold L. Gregory who served as the American Legion Department of Texas vice-commander from 1991-1992. During his longstanding service to The American Legion, Commander Gregory worked in numerous positions within the Department of Texas, to include commanding both Post 626 and District 12. 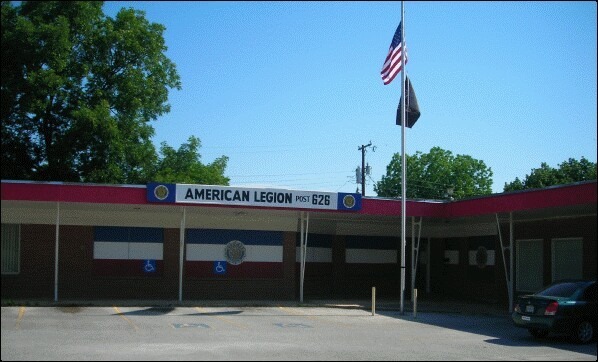 American Legion Post 626 filed with the State of Texas as a nonprofit general business on Nov. 2, 1976. The post’s filing status continues to be listed as an organization In Good Standing - Exempt Entity. Its file number is 0039212901. The original registered agent on file for this company is Francis J Dubrowski, Jr. The six principals on record at the time of filing included Mr. Dubrowski, Andrew Tsivis, Michael Young, Thomas Hafer and Wayne Oliver – all of Fort Worth; and Elmer Schriner of Benbrook.The post’s address is 1125 Burton Hill Road, Fort Worth, Texas 76114-4530.